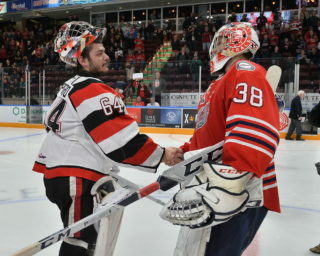 Arizona Coyotes prospect Ivan Prosvetov stopped all 34 shots that came his way, backstopping the Saginaw Spirit to a 5-0 road win over the Soo Greyhounds to advance to the Western Conference Championship Series. The Spirit take the series in six games after Prosvetov improved to 8-2 with a 2.33 goals-against average, .932 save percentage and his first shutout of the postseason. Saginaw claimed the commanding Game 6 win despite being outshot 34-26. 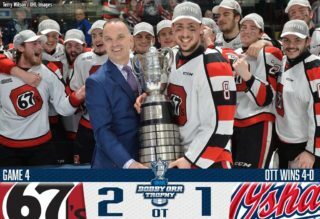 Prosvetov, who guided the Youngstown Phantoms to an appearance in the USHL’s Clark Cup Final last spring, was a fourth round pick of Arizona last summer. 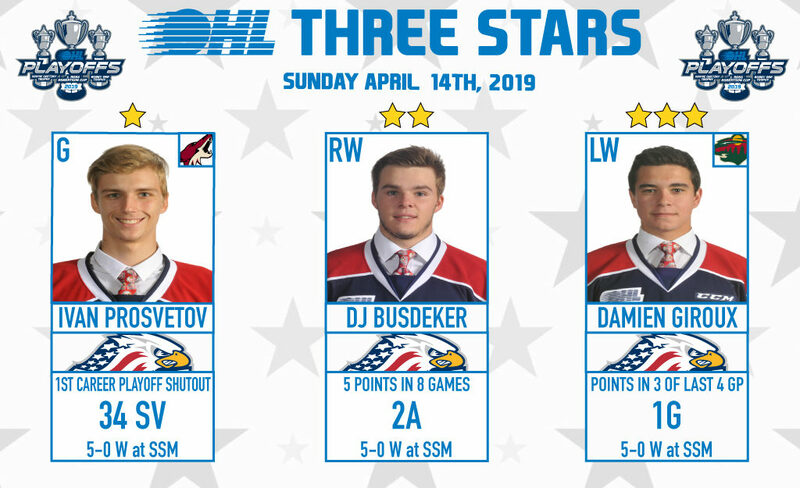 Third-year veteran DJ Busdeker picked up a pair of assists on Sunday night in Saginaw as the Spirit advanced to their first ever Western Conference Final after a 5-0 win. 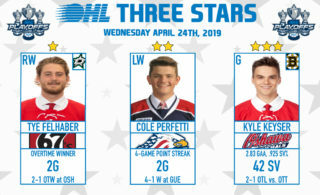 The 19-year-old native of Dexter, Mich. increased his postseason production to five points (2-3–5) over eight games, setting up goals from Nicholas Porco and Ryan McLeod. Busdeker had 48 points (15-33–48) over 66 games this past season. He was signed by the Spirit as an undrafted free agent in November 2016. 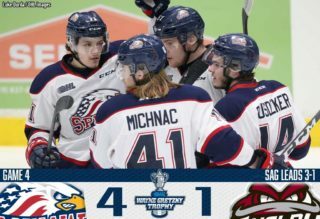 Saginaw Spirit captain Damien Giroux cashed in on a third period miscue to put his team up 3-0 in an eventual 5-0 Game 6 win over the Soo Greyhounds. Giroux’s sixth of the postseason gives him nine points (6-3–9) over 10 games after the Minnesota Wild prospect recorded 30 goals and 51 points over 67 games this past season. A 19-year-old native of Hanmer, Ont., Giroux was Minnesota’s fifth round pick last summer.